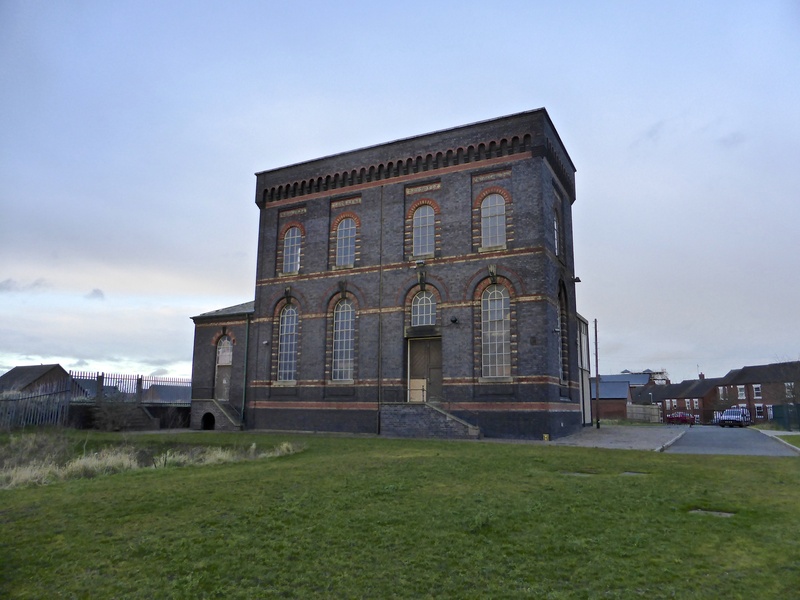 Sandfields Pumping Station champion and public historian extraordinaire Dave Moore has been in touch to let me know that next Monday evening, 14th January 2019 there will be the monthly Public Meeting of the Lichfield Waterworks Trust charity, formerly the Friends of Sandfields Pumping Station group. Lichfield Maltings was originally built in 1890 for Lichfield Brewery and became part of Wolverhampton and Dudley Breweries after the fire at the brewery and friendly take over the next morning in 1924, leading to the numerous local Banks’s pubs. The maltings ran until 2005 as one of the last traditional floor maltings, with the addition of refrigeration in the Summer months, allowing malting throughout the year. Malting is a special art, with steeps to soak the barley, power shovels on the cold floors, anthracite burners to heat the kiln, all requiring a lot of the hardest manual labour, to make the finest malt. The colour photograph shows the maltings in 1992 and the whole process will be explained to satisfy the most discerning beer drinkers. As always, this talk will show you parts of Lichfield never seen before. We are really pleased to report that December has been working for another month where there have been no incidents relating to health and safety. A very big thank you again to everyone for working safely and looking after your fellow volunteers. It would really help us if we develop and grow our membership. If you are not already a member and would you like to be a part of one of the region’s most exciting heritage projects then please, join us now by filling in Membership Application Form by going to our membership page here. It is free to join and be a part of this incredibly exciting project. This entry was posted in Environment, Events, Followups, Fun stuff to see and do, Interesting photos, Just plain daft, Local Blogs, Local History, Local media, News, Reader enquiries, Shared media, Shared memories, Social Media, Spotted whilst browsing the web and tagged 14 January, 2019, Architecture, at risk, Black Country, buildings, Dave, David, Discovered, event, Events, Facebook, free, heritage, Kate Gomez, lecture, Lichfield, Lichfield Discovered, Lichfield Waterworks Trust, local blogs, Local History, Lore, meeting, Monday, Moore, pub, Sandfields, Staffordshire, Talk, Things to do. Bookmark the permalink.